Data from the report show the huge swings in arrest numbers for crimes like marijuana enforcement. If the modern era of New York City policing began in 1994 with the arrival of Rudy Giuliani in City Hall and Bill Bratton at One Police Plaza, a major historical pivot occurred shortly after Bill de Blasio took office and Bratton returned: For the first time in more than two decades, cops started arrested more people for misdemeanors linked primarily to someone’s complaint rather than the NYPD’s own enforcement priorities. Broken windows policing, in other words, changed substantially under de Blasio and Bratton even as both men defended that policing strategy to the hilt. This is all according to a report released on Thursday by the Misdemeanor Justice Project at John Jay College, which studied misdemeanor arrest data from 1993 to 2016. Media coverage of crime in New York typically focuses on a narrow set of seven felony offenses, but the NYPD has historically made more than twice as many arrests for misdemeanors as it has for felonies. Misdemeanors are crimes punishable by sentences of one year or less, and people convicted of them constitute the inmate population on Rikers Island (although most people on the island are not sentenced inmates but detainees awaiting trial). 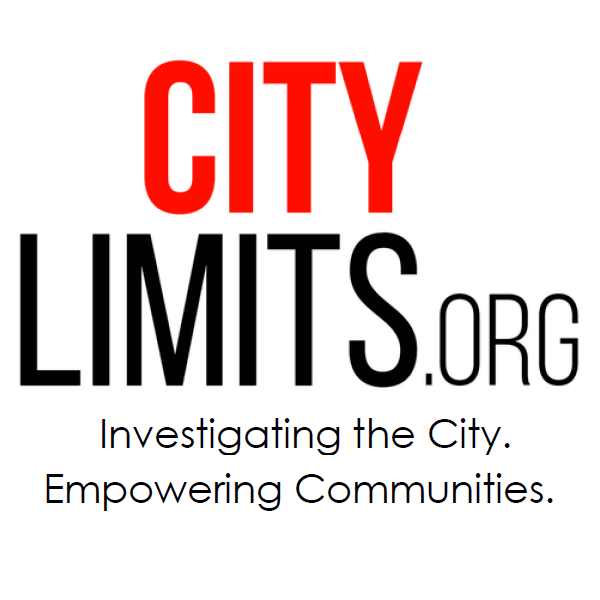 City Limits has reported in the past on changes in the number of misdemeanor arrests under the current mayor, and their place in de Blasio’s first-term record on policing. This John Jay report applies a wider and deeper lens. Their biggest finding? Overall, the number of arrests for charges that are less likely to be complaint-driven (i.e., marijuana, drugs other than marijuana, and theft of services) was higher than the number of arrests for charges that are more likely to be complaint-driven (person and victim-related property charges) from 1993 to 2014. In 2015 and 2016, the number of arrests for charges more likely to be complaint-driven exceeded the number of arrests for charges less likely to be complaint-driven. The report also hints at the political nature of misdemeanor policing: the numbers of arrests for crimes like marijuana possession and turnstile jumping showed huge spikes and falls, while complaint-driven crimes steadily climbed. One unsurprising finding: “The arrest rates for Blacks and Hispanics were higher than the arrest rates for Whites for all charge categories from 1993 to 2016,” with the biggest disparities concentrated in those crimes—theft of services, marijuana, and trespassing—where arrests are driven not by complaints but by officer’s initiative. I have never been clear on the meaning of “broken windows policing.” Could you please explain that, and also the origin of the term? 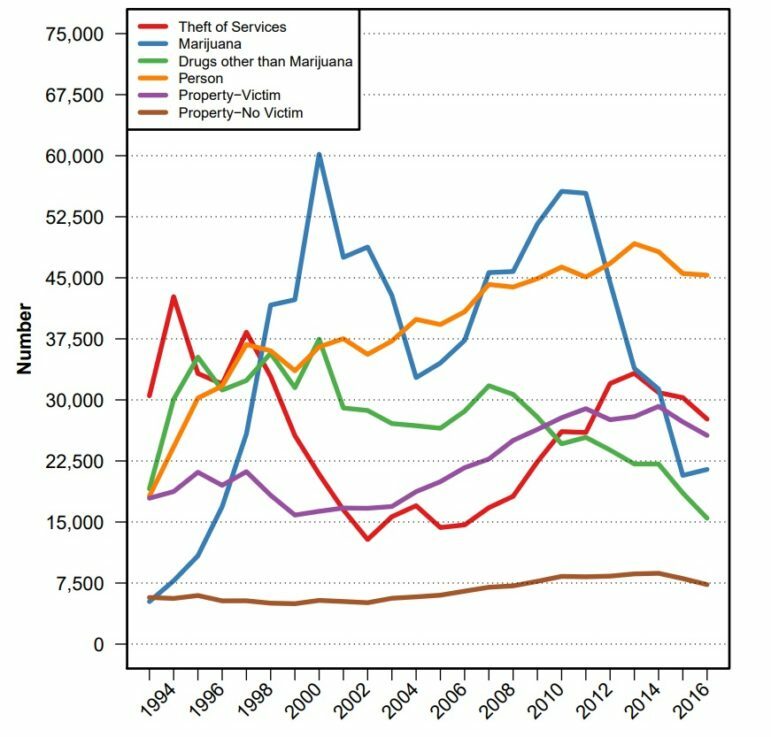 Theft of service arrests in the last 15 years seem to be more related to the economy than any radical shift in policy, while marijuana arrests seem to reflect wider societal and cultural changes. Therefore the implication that reduced misdemeanor arrest (vs. felonies) reflect a deliberate & enlightened change with regard to the broken windows policy may be misleading. I stand by it. Turnstile jumping arrests are driven by cops deciding to stake out the subway stations, not because the economy is encouraging more or fewer people to jump the turnstiles. And the cultural changes regarding marijuana had to manifest themselves in a change to the policing of those offenses or the arrest numbers wouldn’t have budged.